Don’t Miss the Comus XC 5K on Saturday! Non-Member Registration is OPEN for Candy Cane City & Turkey Burnoff! Attention Non-Members: Online registration is open for both the popular Candy Cane City 5K and Turkey Burnoff! Beat the rush on race day and register in advance! Registration is race day only for MCRRC Members. Please visit the race webpages for more information or register here (Candy Cane) or here (Turkey Burnoff). 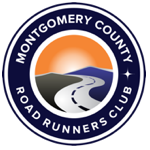 This week, our track location permits are as follows: Tuesday evening – Richard Montgomery, no restrooms permitted Wednesday evening – Rockville High School If you have any questions, please contact the MCRRC Office at office@mcrrc.org.